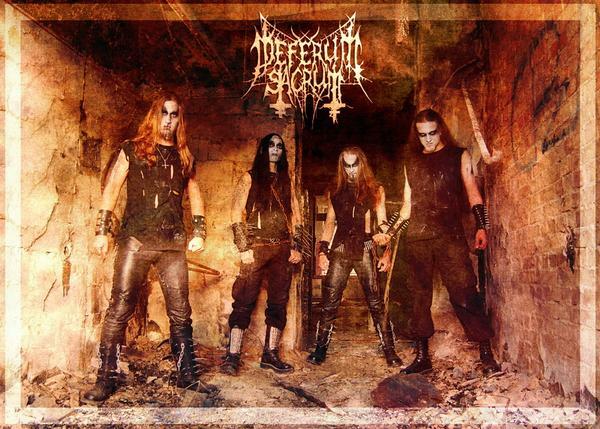 The promo-version of the album was presented on January 24, 2009 in St. Petersburg, where Deferum Sacrum was supporting Nargaroth (Ger.). In the end of 2010 Yar left the band after 5 years of drumming in Deferum Sacrum. He was substituted by Equinox (Black Inquisition, Flying, Semargl, Revolt). At the same time the band signed a full length album release deal with Russian label, More Hate Productions, for 2011. At the moment the plans of the band include release and support of their debut album, "Septicaemia", as well as composing of new material for the next release.